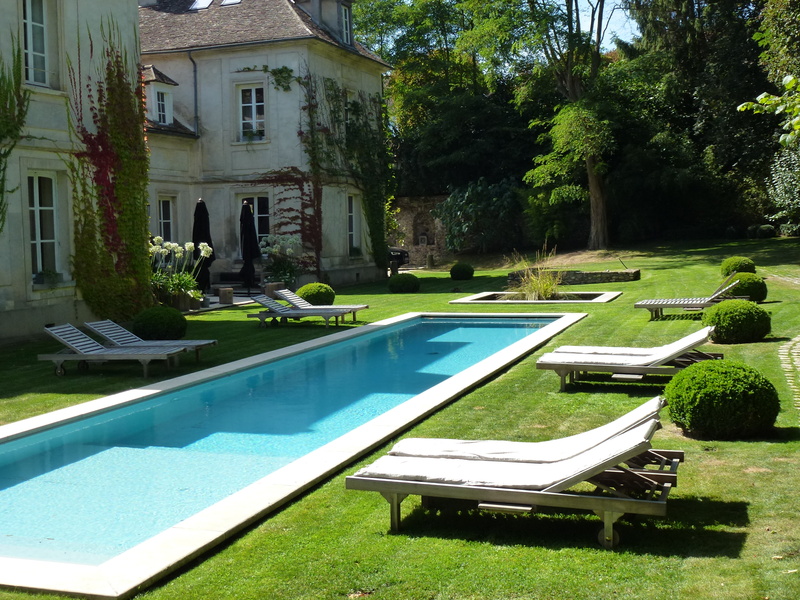 La Minotte is a 17th century house set in a beautiful walled garden nestled in the heart of the medieval town of Monfort L’Amaury, close to the Ravel Museum. It caught my eye because it has a combination of typical French charm with nicely decorated rooms and a beautiful garden with a heated pool. This typical French bed and breakfast also offers holiday rentals with 4 “lofts”. Peaceful, elegant and hidden away , this elegant townhouse is decorated in warm and soothing tones of greys, beige and blue. There is a very good attention to service with additional touches you don’t always find in a B&B such as massages (6 kinds to choose from) or a hammam on site. The lofts are good for 2 or 4 people and some have access to either the garden or a private terrace. They are handy for families as they have a little kitchen. Breakfast is included if you stay on a B&B basis but you can also enjoy it when you rent, at an extra cost. Or they can leave a nice breakfast hamper at your door in the morning. Diner is available by request. All in all, it really looks like the owners are opening the house to you as your own. This could also be a good stop on your way down from Calais to the South of France. You can get there by a variety of trains and buses but it’s probably easier by car. Palazzo Daniele – the setting for your next romantic escape La Pinede – a B&B with pool where you can buy everything!